We pray for those who have gone before us and reflect on the great promise of the resurrection of the body and life everlasting. One day we hope and pray to be reunited with our loved ones in the joys of heaven. 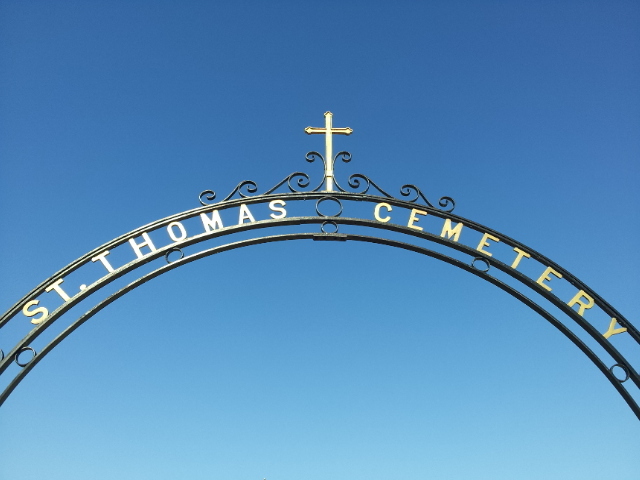 The St. Thomas Cemetery Association is dedicated to the perpetual care of the parish cemetery. The good work of the association is a visible sign to all in our belief of the return of Christ. The cemetery is located west of the parish, outside the city limits on Upper Bottom Road.